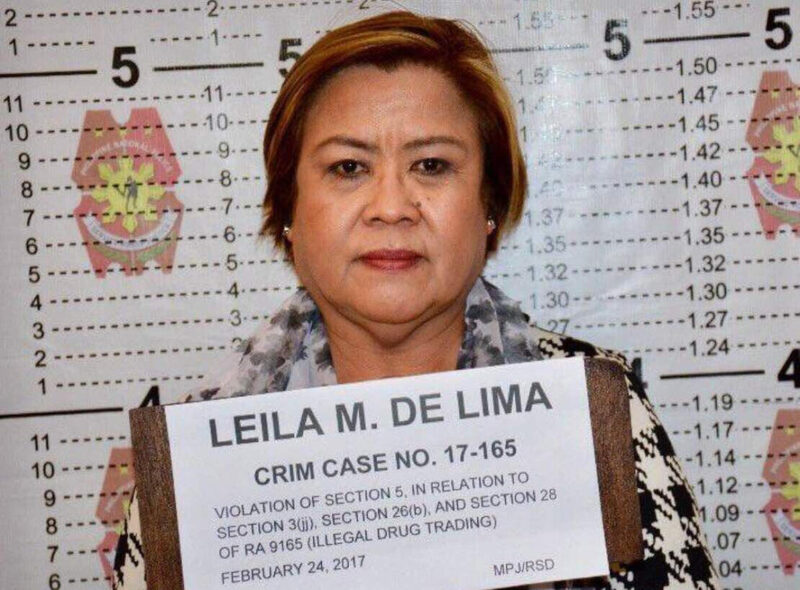 Leila de Lima, a top Duterte critic, was jailed Friday on drug-related corruption charges in the Philippines. Nearly 7,000 people have died in the Philippines since controversial president Rodrigo Duterte launched his ‘drug war’ last July, following his insurgent populist victory. Last week, the chief domestic critic of Duterte’s human rights record, senator Leila de Lima, was imprisoned on charges of drug-related corruption — charges that have been widely met with disgust from human rights groups who say that her arrest is politically motivated. Since taking power, Duterte has bragged about killing drug dealers himself when he served as mayor of of Davao City, all while encouraging police (and others) to engage in extrajudicial killings of suspected drug dealers. Last September, Duterte threatened to kill up to 3 million drug addicts, likening himself to Adolf Hitler. As human rights watchdogs across the world continue to sound alarms, Duterte’s encouragement is already showing signs of spiraling out of control, with far more suspected criminals killed at the hands of vigilante groups than the official police. A South Korean businessman was strangled to death in policy custody, forcing even the sharp-tongued Duterte to pause for a moment. 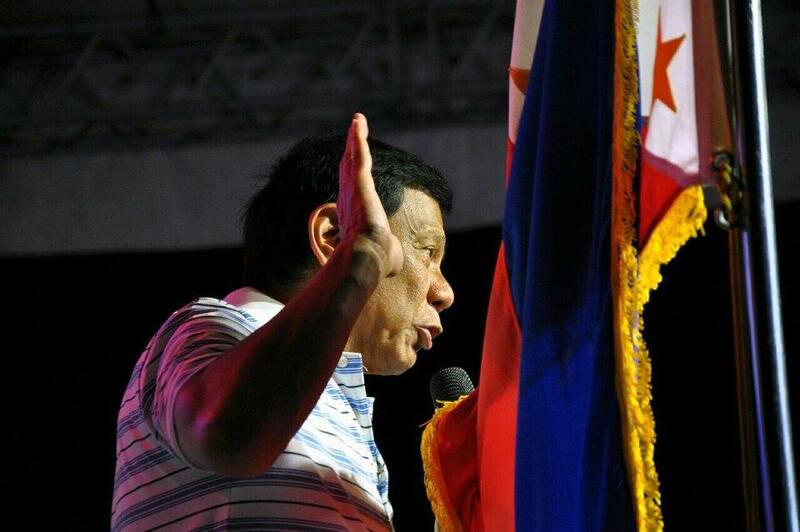 Nevertheless, Duterte has pledged to continue his aggressive campaign through the end of his six-year presidential term in 2022. His blunt speaking, often in vulgar terms, has brought him popularity with an electorate that elected him to be tough on crime and on drug use. Even as Duterte risks becoming an international pariah over human rights, Philippines still give him an 83% approval rating as of the beginning of 2017. De Lima, who previously served as the chair of the Philippine Commission on Human Rights under former president Gloria Macagapal-Arroyo and as the country’s justice secretary under Benigno (‘NoyNoy’) Aquino III from 2010 to 2015, has called Duterte a ‘murderer’ and a ‘sociopathic serial killer.’ De Lima has led the fight against Duterte’s drug war from the Senate, the 24-member upper house of the Philippine Congress. Last September, Duterte’s allies removed her from the Senate’s Justice and Human Rights Committee, where she hoped to investigate the abuses of the drug war, most notably the extrajudicial killings. The two politicians have a difficult history. In 2009, when she was still heading the human rights commission, De Lima first investigated rumors of ‘death squads’ in Davao City, where Duterte served as mayor for over two decades, for the first time in 1988, prior to his election to the presidency last May. 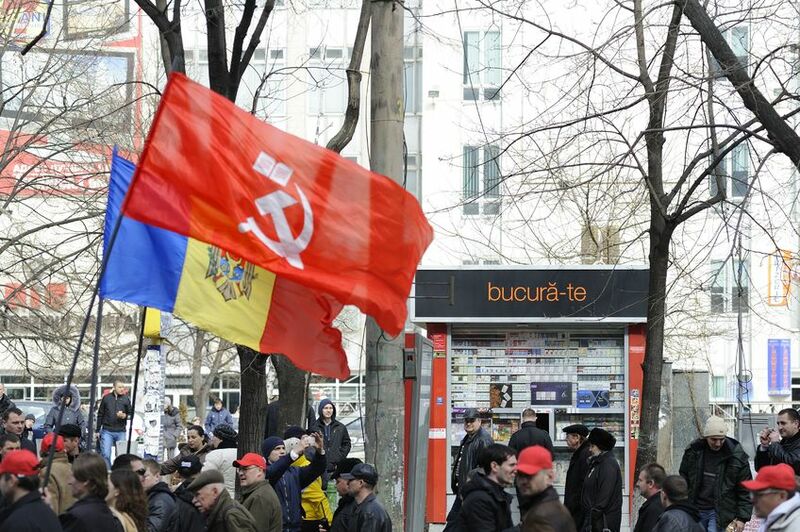 For a country that just elected a foul-mouthed, tough-talking and controversial strongman to the presidency, it was easy enough to believe that same electorate would also choose a similar strongman as vice president. As returns come in from the May 9 general election in the Philippines, voters have delivered Rodrigo Duterte a strong victory in the race to become their next president. 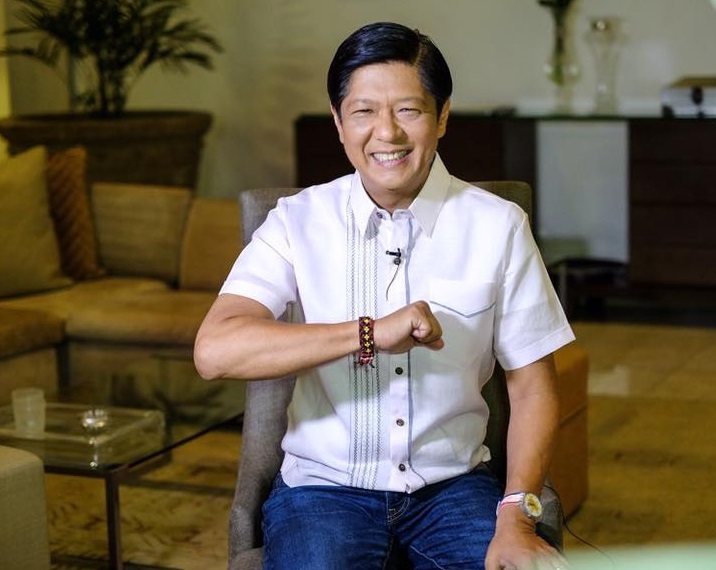 But they also seem to have had last-minute doubts about handing the vice presidency to Ferdinand ‘BongBong’ Marcos, Jr. 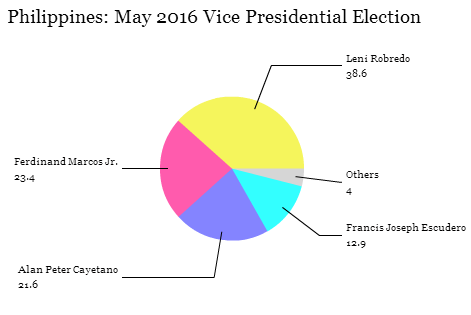 Instead, defying polls throughout the campaign that gave Marcos a slight lead, the narrow winner (for now) is Maria Leonor ‘Leni’ Robredo, the candidate of the Partido Liberal ng Pilipinas (Liberal Party), which has governed the world’s 12th-most populous country for the last six years under Benigno ‘NoyNoy’ Aquino III. Under Aquino, whose father struggled (and was ultimately assassinated) in the fight for a democratic Philippines, the economy has grown at rates of 6% or even higher (barring relatively lower 3% growth in 2011). With over 96% of the votes counted, Robredo led with 35.1% to just 34.6% for Marcos, a slim margin of around 215,000 votes, though observers believe that, based on the outstanding results, Marcos is unlikely to take the lead. That’s despite Marcos’s nearly two-to-one advantage in metropolitan Manila, which includes both the capital city and the even more populous Quezon City. Already, Marcos is complaining about election irregularities. That must come as something of an ironic shock to the rest of the world, which considers the Marcos name to be virtually synonymous with kleptocracy. The family was implicated in last month’s sensational ‘Panama Papers’ scandal over offshore tax havens. 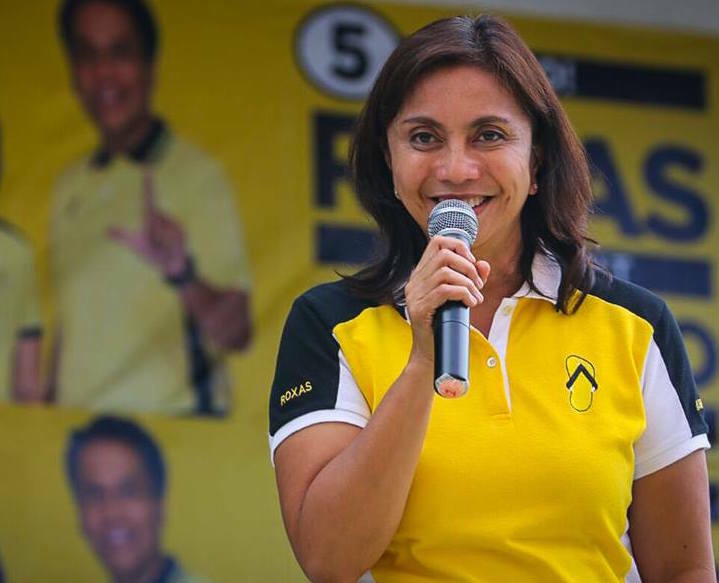 Robredo, who isn’t necessarily natural allies with Duterte, has indicated that she is willing to serve in a Duterte cabinet and, in turn, Duterte’s spokesperson has confirmed that he will offer a cabinet position to Robredo. Notwithstanding the thousands of supporters thronging to his campaign events across the country, Sanders holds a very slim chance of defeating against his opponent, former first lady, New York senator and secretary of state Hillary Clinton. In Canada, however, it’s a different story. The leftist New Democratic Party (NDP) has surged to a polling lead, giving its leader, Tom Mulcair, a legitimate chance to become Canada’s first NDP prime minister. 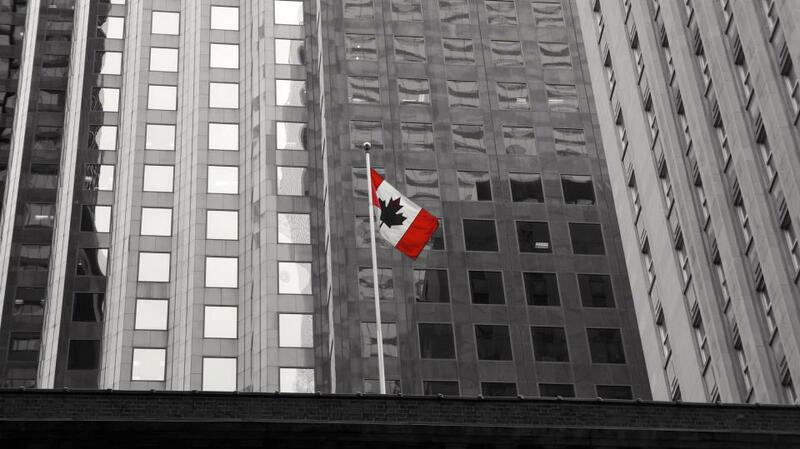 Make no mistake, if the NDP wins Canada’s October election, it would be a huge milestone for the North American left. ThreeHundredEight‘s June polling averages give the NDP a slight edge, with 32.6% to just 28.6% for prime minister Stephen Harper’s Conservatives and 26.3% for the Liberal Party. The NDP has a healthy lead in British Columbia and in Quebec, is essentially in a three-way tie in Ontario, leads the Liberals in Alberta and the prairie provinces (a Tory heartland) and leads the Tories in Atlantic Canada (the only remaining Liberal heartland). On these numbers, the NDP could emerge as the largest party in the House of Commons, though probably not with an outright majority. It is, of course, still early — the election is more than three months away. 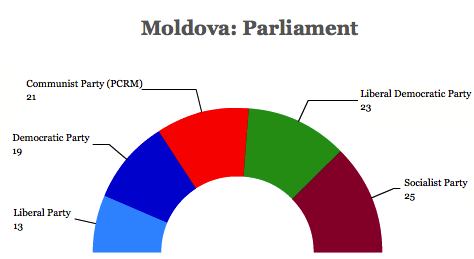 But it’s a remarkable reversal of fortune for a party that only recently languished in third place. It’s an aphorism of Canadian politics that federal trends don’t extrapolate from provincial trends. But there’s no doubting that the election of Rachel Notley in May as Alberta’s premier has much to do with Mulcair’s recent good fortunes. Notley’s Alberta NDP displaced the Progressive Conservative Party after 44 years in power — and sent Jim Prentice, a Harper ally and former federal minister, who returned from private-sector life to lead Alberta’s ailing PC-led government, back into retirement. Mulcair, a moderate with aims of winning over moderate as well as progressive voters, won the leadership in March 2012, dispatching Brian Topp, his more leftist rival. 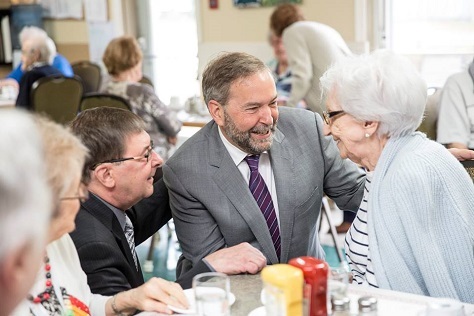 A French Canadian who got his start in the rough and tumble of Québec’s local politics, Mulcair served for 13 years in the provincial assembly and won plaudits as the minister of environment from 2003 to 2006 under Liberal premier Jean Charest. Mulcair made the jump to federal politics during the 2007 election, easily winning a riding from Outremont. 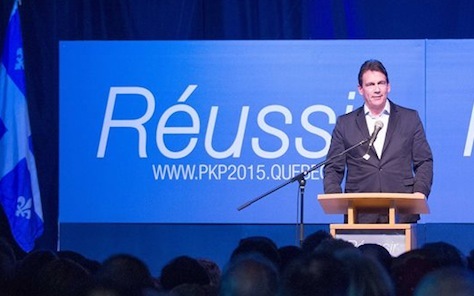 Barring any surprises, Pierre Karl Péladeau, a successful businessman in the Québéc media space who entered politics for the first time last year, will become the new leader of the separatist Parti Québécois (PQ). 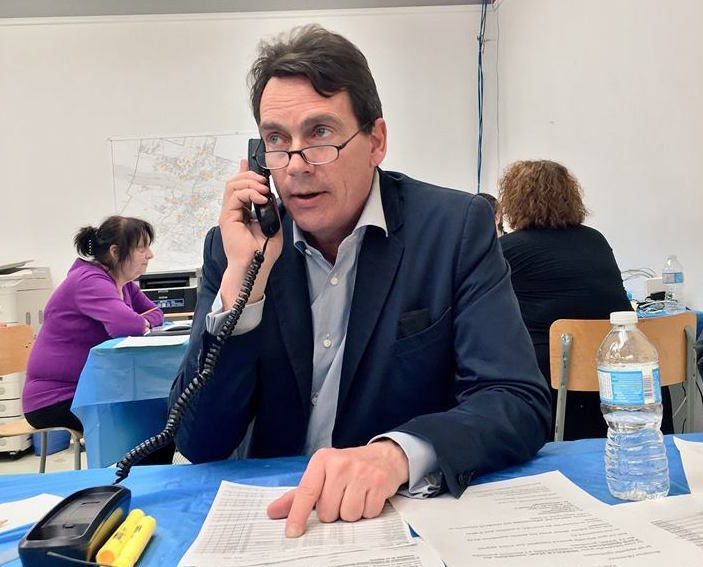 Though he was already the overwhelming favorite in the leadership election, Péladeau’s leadership hopes were almost reinforced by Bernard Drainville’s decision earlier this week to drop out of the contest, endorsing Péladeau. Drainville was the architect of the last PQ government’s disastrous attempt to enact the charte de la laïcité (Charter of Rights and Values) that would have banned government employees from wearing religious symbols and that critics argued would unfairly restrict the freedom of Muslim and other non-Christian recent migrants to Québec. Drainville left the race after falling not only far behind Péladeau, but also behind Alexandre Cloutier, a member of Québec’s National Assembly since 2007, and a former minister for Québec’s north and Canadian intergovernmental affairs. The vote follows the swift defeat of Pauline Marois’s minority government in April 2014. After Marois lost her own constituency in the election, she announced her resignation as party leader. 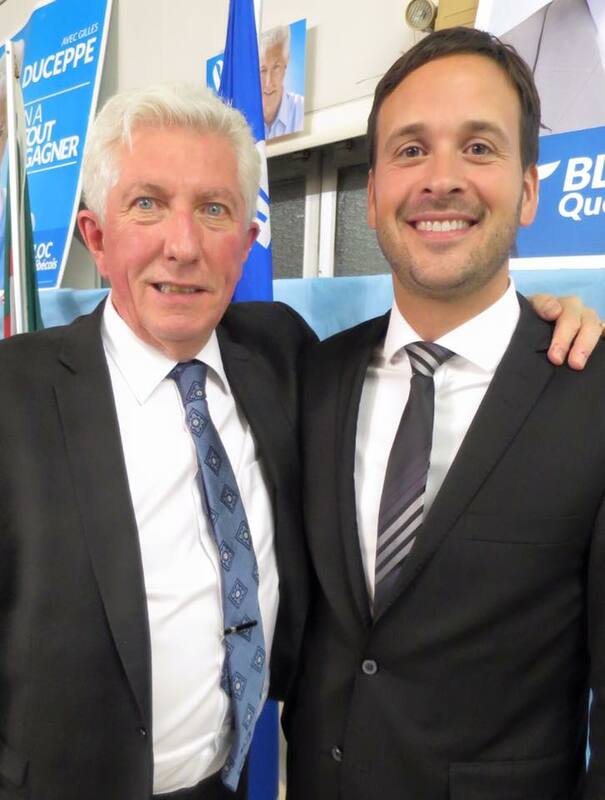 When former Bloc québécois leader Gilles Duceppe declined to run for the leadership, Péladeau quickly emerged as the leading candidate. PQ members will cast a first ballot between May 13 and 15, with a second ballot to follow if no candidate wins a majority. In the latest Leger poll from early April, Péladeau had the support of 59% of PQ voters, compared to just 13% for Cloutier and 9% for Drainville. After two recent high-profile failures at the ballot box, the center-right Liberal Party is breathing a sigh of relief today with an election victory in New South Wales, Australia’s largest state and the home of Liberal prime minister Tony Abbott. 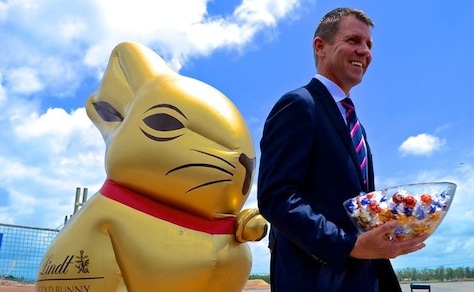 Less than a year after Liberal premier Barry O’Farrell resigned over a gift bottle of wine valued at $3,000, his successor Mike Baird won a renewed mandate for the Liberals in Saturday’s state election. That will come as some relief to Abbott, whose rising unpopularity caused a leadership spill in his own caucus in mid-February and whose hold on the Liberal leadership (and premiership) is still somewhat shaky. A Liberal loss in New South Wales, following losses last November in Victoria state and on January 31 in Queensland, would have certainly renewed calls for Abbott’s replacement. New South Wales was the original name given to the British colony on Australia’s mainland established at Sydney in 1788. Over the decades of the 19th century, the colony was eventually whittled down to the pattern of today’s Australian states and territories. Nevertheless, its 7.4 million residents constitute nearly one-third of Australia’s population today. Baird’s popularity won’t necessarily make him a direct threat to Abbott. Success at the provincial level in Australian politics only rarely results in a leap to federal politics. Former Labor premier Bob Carr, who served from 1995 to 2005, overseeing the 2000 summer Olympic games in Sydney, made the jump in 2012 only after then-prime minister Julia Gillard appointed him to Australia’s senate as part of his appointment as foreign minister. Moreover, Abbott is personally and ideologically closer to Baird than he was to O’Farrell. He’s far more likely to face a federal leadership challenge from communications minister Malcolm Turnbull or foreign minister Julie Bishop than from Baird. It may yet be a long way back to taking national power in Australia, but the center-left Australian Labor Party will begin in Victoria, where it reclaims only its second state government across Australia. Victoria, the second-most populous state in Australia, and home to Melbourne, has long been friendly terrain for Labor. 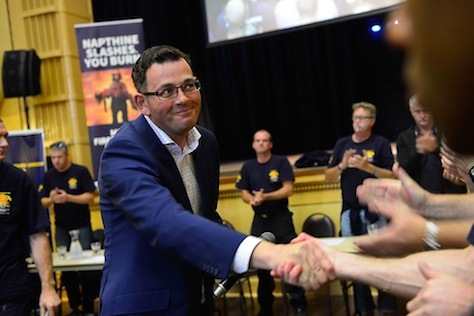 It’s not surprising, then, that Labor would win Saturday’s election, even though it represents the first time in 60 years that the electorate in Victoria tossed out a government after just one term in office. Though results are not yet final, reliable early accounts give Labor 47 seats in the 88-member Legislative Assembly, and the Liberal Party’s leader, outgoing premier Denis Napthine, has already conceded defeat. The Victorian election is a moderate defeat for Liberal/Coalition prime minister Tony Abbott, who had hoped that Napthine, who has led a razor-thin majority coalition since 2013, could eke out a victory. Napthine replaced Ted Baillieu, who resigned in March 2013 in the wake of a minor scandal involving government favors and the anti-corruption commission. Geoff Shaw, a rogue backbencher, caused headaches for both Liberal premiers, and he was indirectly responsible for Baillieu’s resignation last year. Labor will take power under Daniel Andrews (pictured above), the leader of the opposition since 2010. Abbott didn’t campaign hard for Napthine, but national Labour leader Bill Shorten, a Melbourne native, devoted significant time and resources to the campaign. Among the hottest issues in the campaign was a proposed East-West Link, an 18-km tollroad that would have linked the far ends of the Melbourne metropolitan area. It was one of the crowning infrastructure projects of the Liberal/Coalition government in Victoria, though Labor was always far more hesitant about the project. Ultimately, it’s hard to say that the Victoria result, close as it was, is a harbinger of much of anything for national politics. Abbott brought the Coalition back to power in September 2013 after six tumultuous years of Labor government under Kevin Rudd, Julia Gillard and, for a brief time, Rudd again last summer. 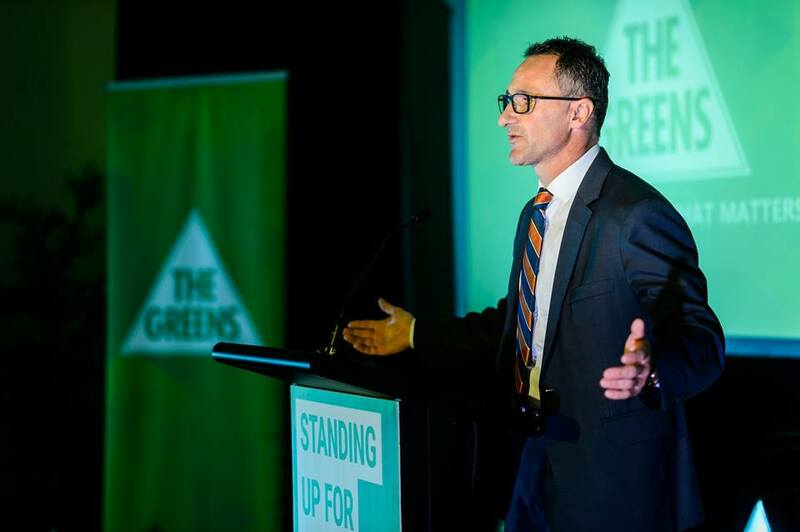 His chief policy accomplishment is the repeal of the two chief policy achievements of the previous Labor government — a carbon trading scheme and a mining tax, both of which Gillard and Labor enacted in 2012, after Rudd and the party campaigned on them in 2007. Abbott doesn’t have to call another election until January 2017 and he currently enjoys a strong majority in the House of Commons, the lower house of the Australian parliament. 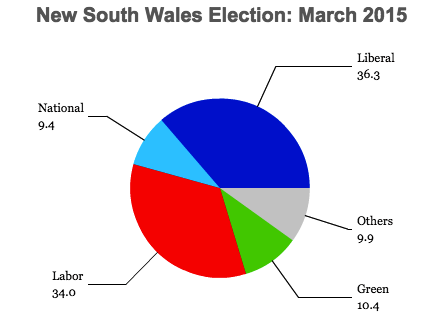 Nevertheless, though Abbott last year won a relatively robust victory (53.5% of the two-party preferred vote for the Coalition versus just 46.5% for Labor), the government now narrowly trails Shorten’s Labor by a margin of 52% to 48%, according to the most recent November Essential survey. Much of the unpopularity stems from Australia’s slowing economy, due in large part to China’s respective economic slowdown, and unemployment in Victoria is currently running the highest in the country at 6.8%. 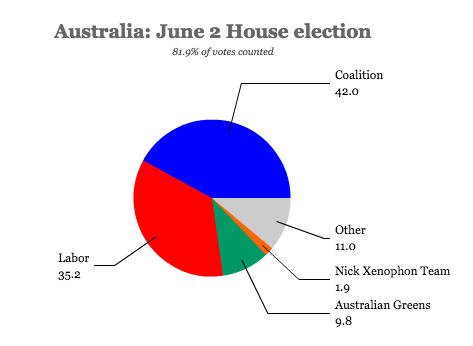 In short, though Victoria’s election was a solid win for Labor and something of a personal victory for Shorten, there’s not so much to read into the result for a federal election that might be held more than two years from now. 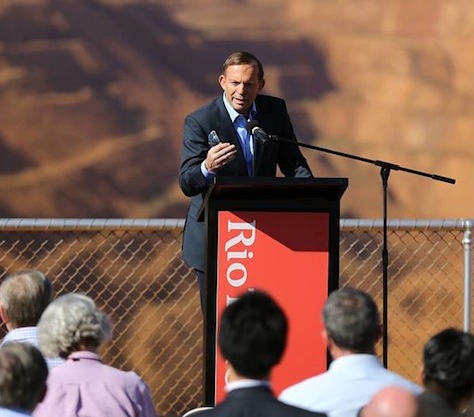 In the end, Australian prime minister Tony Abbott didn’t have to call a special, massive ‘double dissolution’ election to roll back Australia’s carbon pricing scheme, the signature policy accomplishment of the six-year Labor government that preceded him. 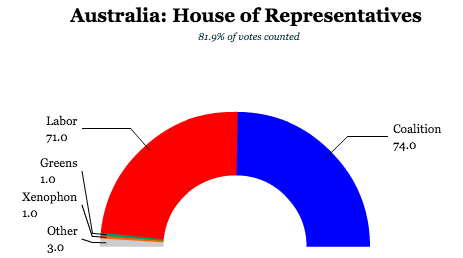 All it took was some deft maneuvering to cobble together a working majority in the 76-member Senate, where Abbott’s Liberal/National Party holds 33 seats, just short of a majority. 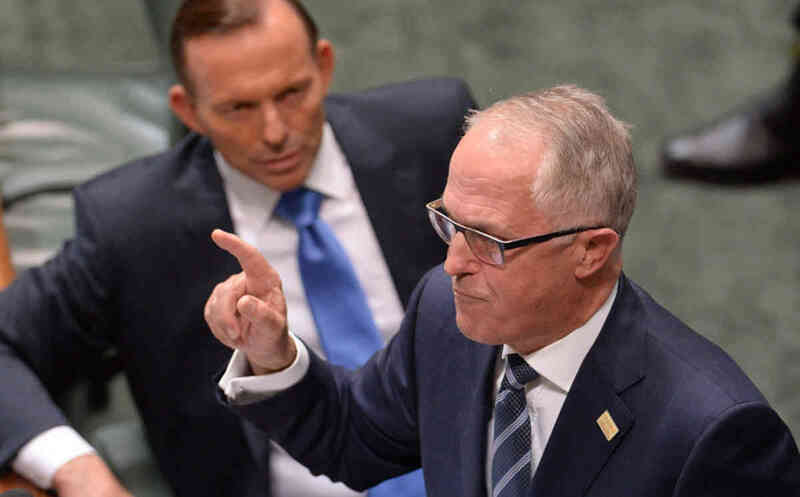 Nevertheless, Abbott (pictured above) won a narrow 39 to 32 victory last month in the upper house of Australia’s parliament, on the strength of six additional non-Coalition votes to repeal the carbon trading market. 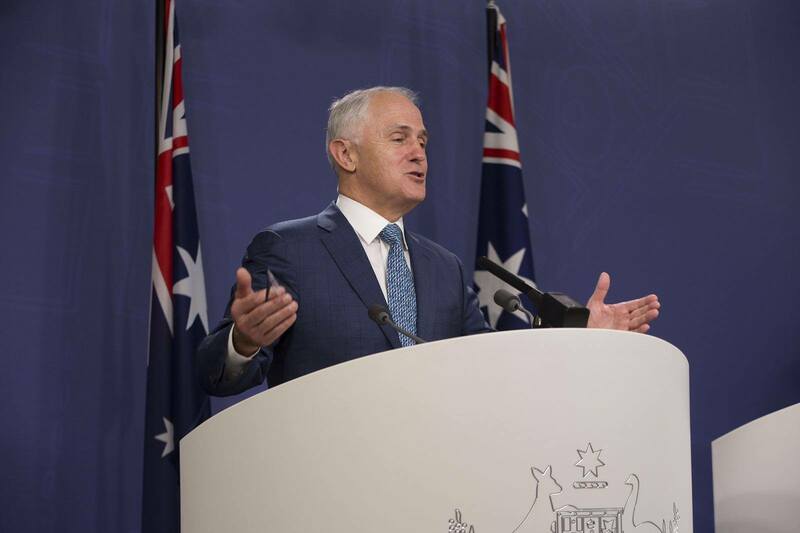 Having been one of the first countries to adopt a carbon trading market, Australia on July 17 became the first country to repeal a carbon trading market. 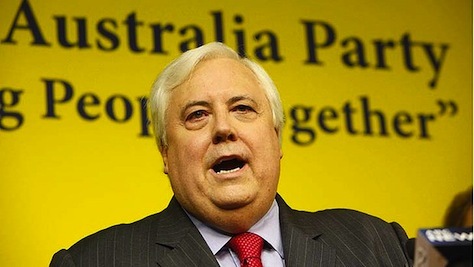 That included the support of a mercurial former mining magnate named Clive Palmer (pictured above), whose maverick conservative Palmer United Party (PUP) became the swing vote in determining whether Abbott’s repeal push would succeed or fail. 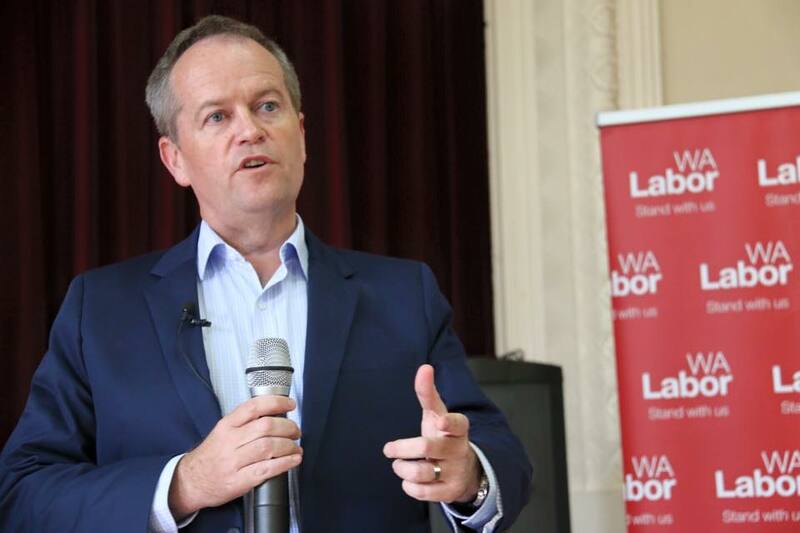 The Labor Party’s new leader, Bill Shorten, led an unsuccessful push in alliance with the Australian Green Party, to oppose the repeal. 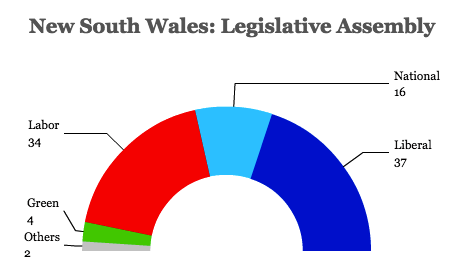 Labor holds 25 seats in the Senate, while the Greens hold another 10. Abbott’s resulting victory is primarily a triumphant tactical and policy victory for the Australian right, giving Abbott an easy talking point on reducing the price of electricity for the average Australian voter (though the real long-term impact of the repeal of a carbon scheme that had reduced emissions by less than 10 percent nationally is yet to be determined). It’s also a narrative about the fragmentation of the country’s two-party system, as far as Australian senatorial elections go, with voters placing increasingly greater power in the hands of independent third-party candidates. On the global scale, it marks a symbolic victory for opponents of similar climate change legislation worldwide, though the battle over carbon emissions was never going to be won or lost in Australia, a country of less than 23 million. Arguably, China’s decision in June, for the first time, to limit carbon emissions at the national level, will have a much wider impact on global climate change policy. While British prime minister David Cameron continues to promote a progressive stand on climate change as an issue to pull his Conservative Party to the middle in the United Kingdom, there’s no indication that the UK is set to introduce any major climate change legislation on the scale of Australia’s experiment with carbon pricing beyond the EU’s own carbon trading scheme. Though there was a brief window in 2008 and 2009 when a carbon-based exchange system might have been enacted in the United States with bipartisan support, those days seem long gone. Nevertheless, the administration of US president Barack Obama and the US Environmental Protection Agency, however, introduced executive actions this summer that aim to reduce US carbon emissions by 30% by the year 2030. Australia’s carbon scheme has its origins as one of the major promises of former prime minister Kevin Rudd’s widely successful 2007 campaign that brought the Labor Party back to government after more than a decade in opposition. It was, in part, Rudd’s decision to back away from climate change legislation that caused his Labor colleagues to dump him in 2010 in favor of then-deputy prime minister Julia Gillard. After Gillard won a narrow reelection campaign of her own later that year, she enacted a comprehensive climate change bill in 2012, as well as a broader tax on mining profits (that hasn’t raised nearly as much revenue as expected). The problem, both in Australia and beyond, is that the global financial crisis of 2008-09 left many national electorates wary of climate change legislation that, almost overnight, suddenly seemed much too costly to introduce at a time when so many developed countries were struggling with the highest unemployment and lowest GDP growth in decades. After a first-round scare, Juan Manuel Santos won reelection to a second four-year term as Colombia’s president Sunday, delivering a narrow defeat to Óscar Iván Zuluaga and, perhaps more significantly, Santos’s one-time mentor and now opponent, former president Álvaro Uribe. Though Santos (pictured above) served as Uribe’s defense minister, and won election as president in 2010 with Uribe’s blessing, the former president broke with Santos by opening negotiations with the leftist guerrilla group, Fuerzas Armadas Revolucionarias de Colombia (FARC, the Revolutionary Armed Forces of Colombia). Uribe won support throughout the 2000s from a wide swath of Colombian voters for his aggressive stand against FARC, other guerrilla groups and drug cartels. Zuluaga, who won the first round of the presidential election over a divided field, indicated that, if elected, he would impose incredibly harsher conditions on the FARC talks — so harsh that they would almost certainly halt the progress of that FARC and the Santos administration have made. 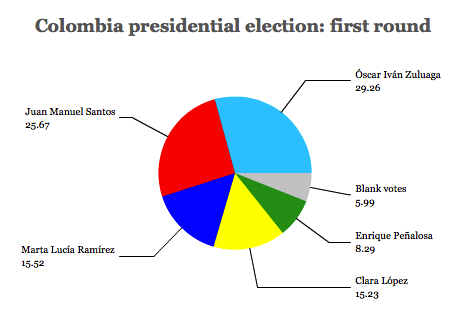 On Sunday, Santos narrowly defeated Zuluaga by a margin of 50.94% to 45.01%. Santos has the support of a coalition of major parties, including the Partido Liberal Colombiano (Colombian Liberal Party) and the Partido Social de Unidad Nacional (Social Party of National Unity, ‘Party of the U’) that once supported Uribe. Zuluaga was supported by Uribe’s newly formed party, Centro Democrático (Democratic Center) and significant segments of the Partido Conservador Colombiano (Colombian Conservative Party), which had backed Uribe and Santos in the past. Make no mistake — Santos’s reelection is good news for Colombia, good news for the entire region and good news for the United States, which has devoted significant resources to stabilizing Colombia in the past three decades. If there’s any lesson to be learned from the chaos in Iraq over the past week, it’s that insurgencies ultimately require political, not just military, solutions. Military force can subdue and repress internal dissent, but ending a domestic insurgency demands some form of political engagement. 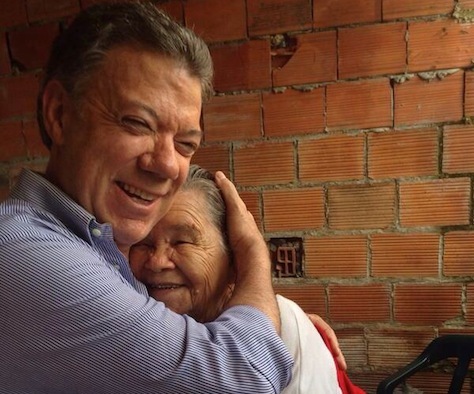 Santos, throughout the campaign, demonstrated that he understands that in a way Uribe and Zuluaga don’t. Though Santos made his fair share of errors as a first-term president, his victory is cause for optimism that the Colombian government will ultimately reach a political settlement with FARC (even on the same day that Colombian security forces launched a successful operation against FARC on election day). In the final days of the campaign, there was a sense that Zuluaga might, after all, back down from his hardline stance on the FARC talks, which began in late 2012 — 48 years after FARC’s creation. But you don’t necessarily have to disavow the sometimes controversial aspects of uribismo to acknowledge that the FARC negotiations are a necessary next step. The Colombian military, first under the Uribe administration, and then under the Santos administration, was vital in bringing FARC to the negotiating table, and the current peace talks are, in many ways, the natural progression of Uribe’s successful efforts to marginalize FARC. The second round of Colombia’s presidential election has been billed as a momentous decision between war and peace. Juan Manuel Santos, the incumbent, has staked his presidency on the ongoing negotiations with the Fuerzas Armadas Revolucionarias de Colombia (FARC, the Revolutionary Armed Forces of Colombia), a left-wing group founded in 1964 out of the political turmoil that stretches back to the assassination of liberal presidential candidate Jorge Eliécer Gaitán in 1948 and ‘La Violencia’ that followed for the next decade. Over the last half-century, FARC has been an impediment to a truly peaceful Colombia, even as the worst days of the drug-fueled violence of outfits like the Calí and Medellin carters have long receded. 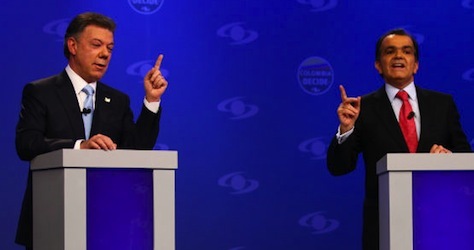 His opponent, Óscar Iván Zuluaga (pictured above, right, with Santos, left), is the protégé of former Colombian president Álvaro Uribe, who broke with Santos over the FARC talks. Santos served as defense minister under Uribe, he won the presidency in 2010 with Uribe’s full support, and he had been expected to continue the same militaristic push against FARC that Uribe had deployed. When FARC offered up the possibility of peace talks, Santos surprisingly met the offer, and official talks kicked off in October 2012. The talks were designed to reach agreement on five key points — agrarian land reform and agricultural development, political participation for former FARC militants, the mechanics of ceasefire and ending the conflict, staunching the drug trade and creating a truth commission and compensation for the victims of abuses at the hands of government-backed paramilitary groups. Those talks have reached accords on three of the five areas, most recently on ending drug trafficking — more than two decades after the death of Pablo Escobar and the demise of Colombia’s major cartels, FARC has become a leading conduit for cocaine and other drugs from Colombia and elsewhere in South America northward. Zuluaga hasn’t exactly said that he’ll end the talks if he’s elected president. But he has indicated he’ll impose conditions as president that FARC leaders seem unlikely to accept, all but ending the best chance in a half-century to negotiate a political solution to the leftist insurgency, which follows a relatively successful Uribe-Santos military effort that has significantly weakened, if not eliminated, FARC. Moreover, Colombians say in polls that they have no sympathy for FARC, and they generally support the talks, in principle at least. So the election is truly momentous, and the result will almost certainly determine whether the FARC talks will continue. That’s not the reason, however, that Santos appears to be losing the election, after trailing Zuluaga in the first round on May 25. A year ago Mr. Santos—part economic liberal, part old-fashioned populist—seemed certain to keep his job. Real gross domestic product expanded by an average annual 4.7% from 2010-13, and in 2011 Colombian debt won investment-grade status from all three major U.S. credit-rating firms. Had Mr. Santos run on this record he might have won in the first round. Most voters don’t see much difference on economic policy between him and Mr. Zuluaga—the former CEO of a Colombian steel fabricator. But he made the FARC talks the centerpiece of his re-election campaign, which opened his weakest flank. According to O’Grady (and, to be fair, other commentators), Santos would be winning this election if only he had merely rebuffed FARC’s negotiation entreaties. Most beguiling is the notion that Santos’s chief strength is Colombia’s economy. It’s not. That’s actually the issue that’s most jeopardized his reelection. He could lose on June 15, not because of the FARC talks, but because he hasn’t offered any solutions to the everyday Colombians who feel like they have lost out in what otherwise looks like a stellar economy.